What happens when I create . 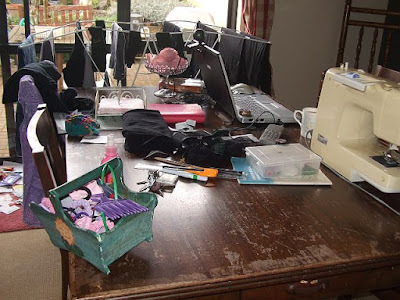 . .
here is my dining room table, currently we don't use it for eating.....no room and no tidy house!!!! 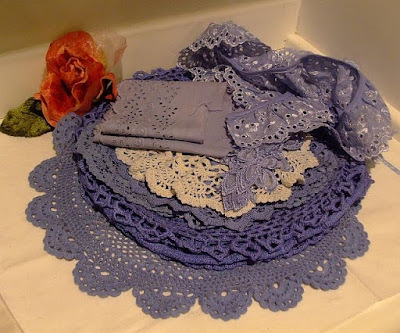 which I am using to embellish the hand dyed baby vests I am hooked on doing. 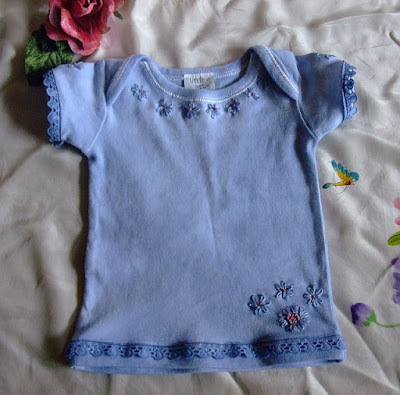 My latest creation, pretty blue baby vest, hand embroidered lazy daises and french knots and finish with dyed trim.